What are some of your favorite places to visit in Philly? Leave your responses in the comment section. Reading Market is one of the top indoor markets in the country. The shoe doctor is one of the best kept secrets in Philly for a fantastic shoe shine. I also like Chocolate By Meuller. PS & Co is my favorite spot for healthy food options. The chocolate chip cookies and sweet potato bread are out of this world. Federal Donuts is popular for the donuts and fried chicken. Dizengoff is home of the best hummus ever! Green Eggs Cafe is a top pick for brunch. The mouth-watering menu features crème brûlée French toast, red velvet pancakes, and chicken and waffles. Vetri is an upscale Italian restaurant. Alla Spina is an Italian gastropod with a popular happy hour menu. Pork is the main menu item. Vernick is a fancy little restaurant in an old brownstone. The chef has earned accolades from Food & Wine, Bon Appetite, James Beard Foundation, StarChefs and more. Nomad Pizza is an artisanal wood-fired pizza parlor using locally sourced ingredients. Modomio is one of the best upscale Italian dining experiences in the city. Kaffa Crossing is the best Ethiopian food in the city. Pizza Brain is a unique little spot where you can grab a whole pie or huge slices. Loco Pez serves LA-style Mexican street food. Tacconelli’s Pizza is a popular pizza parlor featured in many travel magazines and television shows. Honest Tom’s Taco Shop is my favorite Mexican restaurant in Philly. Cafe La Maude is a hidden gem serving a French-Lebanese inspired menu. Great for brunch. Bitar’s serves Middle Eastern cuisine. Le Viet is a modern Vietnamese restaurant in South Philly. Try the green tea ice cream for dessert. Kanela is the best authentic Greek food in the city. Little Nonna’s serves traditional Italian dishes delivered in a homey trattoria setting with an open kitchen and a garden. Pho 75 is a no frills spot for Vietnamese soup. The coffee with condensed milk is excellent. Gino’s and Pat’s King of Steaks are the iconic cheesesteak joints. Head House Farmer’s Market is every Sunday morning near the Italian District. Rittenhouse Farmer’s Market is every Saturday morning at the picturesque Rittenhouse Square Park. DiBruno Brothers is an Italian market with locations in Center City, Old City, and the Italian District. Great option for take out food. Night Market is a great way to sample the city’s best street food. Check the schedule for the dates. 9th Street Italian Market is home to gourmet grocery stores, restaurants, bakeries, and cheese shops. De Luca’s Villa De Roma is a great choice for food. Gran Caffe L’ Aquila is one of my favorite cafes in the city for authentic Italian gelato and coffee. Whipped Bakeshop is the best cupcake shop in Philadelphia. Martha Steward listed the bakery as one of her favorites. Pam Cakes are fresh cupcakes not stored in a cooler. It is a cute shop near Rittenhouse Square. Sweet Box Cupcakes are also good cupcakes. I recommend the Pink Champagne. Bakers Jar Philly features scrupulous cakes, pies, and puddings perfectly portioned and elegantly packaged in a Mason jar. Federal Donuts are gourmet style donuts. Popular menu items include the Sea Salt Chocolate, Blueberry Mascarpone, and Cherry Pie. Four World’s Bakery is an artisan bread bakery. Lore’s Chocolate is an old fashion candy shop. Shane Confectionary is a vintage style chocolate shop. Elixir is one of the best coffee shop in Philadelphia. Menagerie is my favorite coffee shop in Philadelphia. Chapterhouse Cafe and Gallery adds a spin on the coffee experience with live music. Tria is a popular wine bar serving cheese and light snacks. Emmanuelle serves unique drinks in a trendy setting. The Franklin Mortgage and Investment Company is a famous bar serving the best cocktails in the city. Walnut Theater is America’s oldest theater. Check the schedule for Broadway shows. Independent Films can be viewed at one of the Landmark Theaters. Fante’s Kitchen Shop sells every gadget imaginable for your kitchen. Anthropologie is headquartered in Philadelphia. The flagship store is located in a beautiful mansion. H-mart is an Asian market. Third Street Habitat is an upscale women’s boutique in Old City. Nice Things Handmade is an etsy style boutique. Hob Nob Design is a home decor store. Bean’s Beauty is a well-stocked beauty supply store. South Moon Under is a trendy women’s fashion boutique. Verde is an adorable boutique with a pretty jewelry and gifts. Open House is a great gift store. Mode Modern is a modern home decor store. Smak Parlour is an adorable women’s cutting edge boutique. Moon and Arrow is a darling handmade and vintage boutique. Vix Emporium is a local artisan boutique. Papillio is my favorite shop for hosiery. The owner stocks the best brands of Italian hosiery. The hosiery is high quality and fits well. Joseph Fox Bookshop is an independent bookstore. The staff is very knowledgeable. Omoi Zakka Shop is a quirky gift store. Avril 50 is a stationary and gift shop. AIA Bookstore and Design Center not only stocks books but great gifts for souvenirs. Wardrobe Boutique is a women’s designer consignment shop. The Gables is a turn of the century Victorian mansion turned bed and breakfast. Cornerstone Bed and Breakfast is a cozy Victorian style bed and breakfast. Le Meridien is a swanky boutique hotel. Sofitel is a luxury hotel in the Rittenhouse Square neighborhood. City Hall Observation Deck is the best view of the city that is open to the public. Liberty Bell is a great photo-op. Arrive early to avoid long lines in the summer. Independence Hall is my favorite historical tour. I recommend booking a reservation online to avoid long lines. The Mutter Museum (pronounced “mooter”) features weird body parts in jars. Philadelphia Museum of Art is one of the best art museums in the country. Barnes Foundation is home to a stunning collection of paintings. A limited number of tickets are available each day. Stop by on Friday evenings for live music and special events, or visit for free the first Sunday of every month. Philadelphia Magic Garden is a great photo-op. Barren’s Gardens is one of Philly’s best-kept secrets. Please Touch Museum is for the little ones. Eastern State Penitentiary features grand architecture and colorful history. Philadelphia Zoo is 42-acre Victorian garden that is home to more than 1300 animals. Sports Center is home to the Phillies, Eagles, 76ers, concerts, and spectacular views of the city. Mural Arts are all over the city. Great photo-op. Mia Cumbia is my favorite nail salon. All of the products are organic. Affordable Skin Care is a great spa with very affordable prices. Laurentis Salon nail tech Robin Campbell is highly acclaimed. If you prefer a gel polish, I recommend this nail salon. 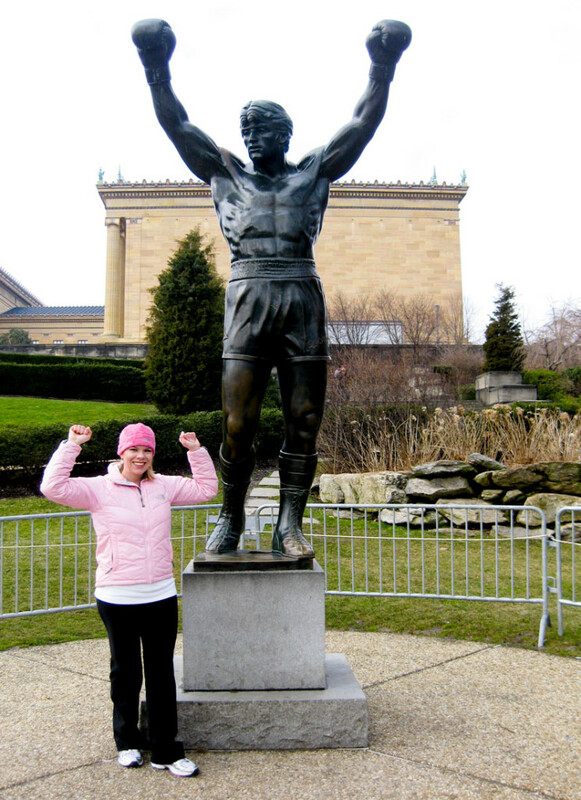 The Rocky Steps are a must-do activity. Don’t forget to take a photo at the Rocky statue. Schuylkill River Trail is a great place for a run. Race Street Pier is an ideal place to exercise or just sit and relax with a good book. Ice skating starts in late November. Schuylkill Banks boardwalk recently opened. This is my favorite place to run, walk, or bike in the city. You can also enjoy a picnic, kayak, or a riverboat tour. Fairmount Park is a 9,200 park with amazing views of the city. Plash runs May-December and weekend service only September – December. The fare is $2, and the bus stops at 20 popular tourist spots. 30th Street Station is the main train station in Philadelphia. 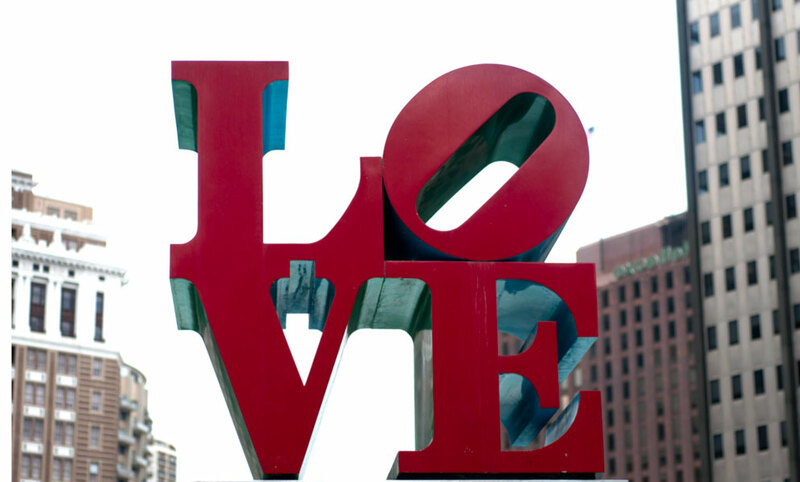 What are some of your favorite hotspots in Philadelphia?